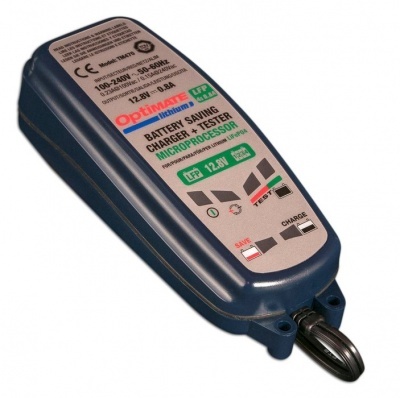 The Optimate Lithium B 0.8A 8 stage charger is ideal for charging the PBQ 10AH LiFePo4 batteries. The charger includes a low voltage save feature, long term maintenance mode and Battery Management system auto reset. Testing is automatic on connection and auto testing over long periods of connection. This charger is ideal if you need to keep your batteries connected for long periods of time or for batteries that stay in the glider.